Definitely one of my favorite books to enjoy once a year or so. I can highly recommend going back to old favorites and reading them again.....and again. You might be surprised how, as your life unfolds and gains evolving perspective, the books you thought you knew actually have underlying themes and ideas that finally resonate. Strangely enough, I am going through a similar realization re-reading "The Chronicles of Narnia" by C. S. Lewis. My preteen niece has become interested in the books; her perspective has also given the characters a new "life". It made me wonder what your interpretation of the cover of "The Lion, The Witch, and the Wardrobe" might look like. Neat suggestion. I'd like to dive back into that one. maybe put my twist on it. Years later they still remember them....and walk off with MY copies! The gift of shared reading. Quite nice. Not familiar with this book. Most of the books available to me were older--19th through mid-20th century. Great sentiment, John. Now WHERE is my copy of "Pat the Bunny"? Hooking back in. I've relocated from Evergreen CO to Anchorage AK. Good to hear. I read you're getting 21 hours of daylight! You should see my "to read" pile. My "to read" list makes the pile look small, then there are several discs full of pdf books & essays. 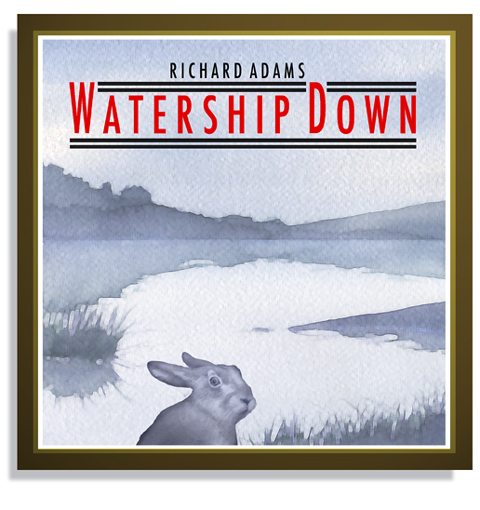 I'll add Watership Down to my list--I can bump it to the top & maybe work it in on a library trip. A change of pace might do me some good. I'm glad you checked in. In your post on a previous thread you said you would be occupied with your move for a while, & I didn't get the chance to wish you "Happy trails" before the thread closed. Be vewwwy vewwy quiet. We're hunting wabbits! This page contains a single entry from the blog posted on July 23, 2012 12:03 AM.